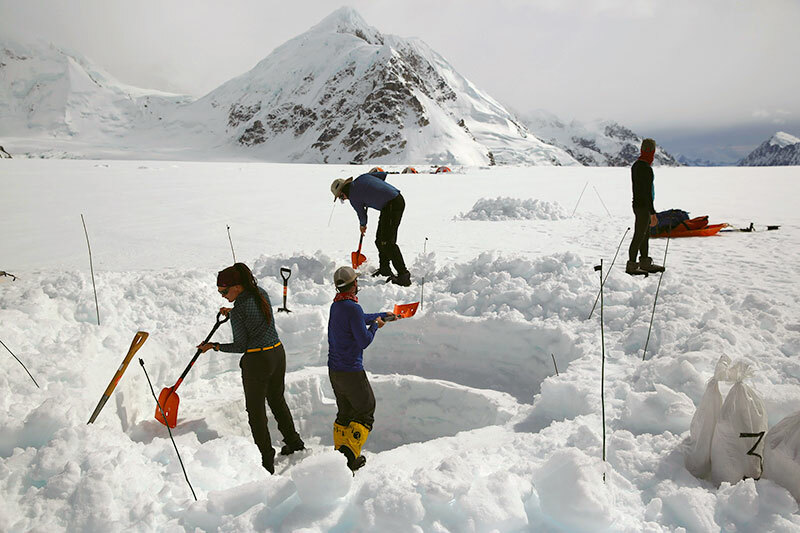 This expedition is run in association with our partner Alaska Mountaineering School. 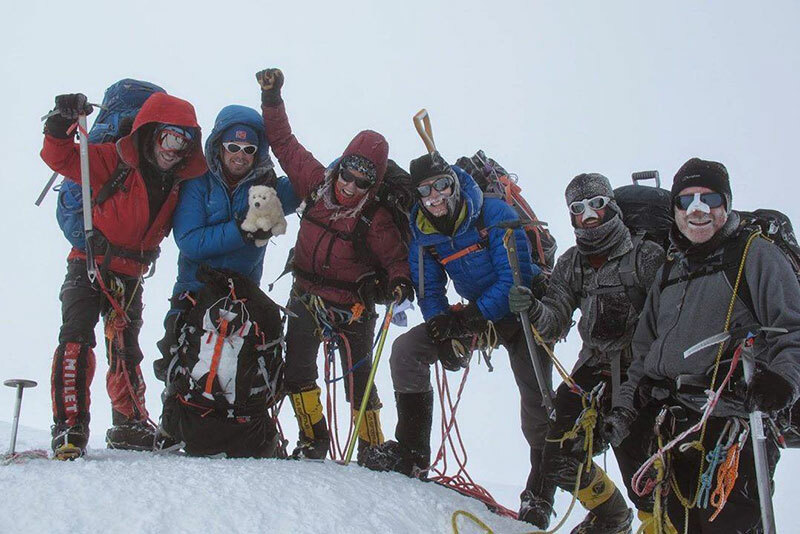 Want to learn more about climbing Denali, the highest mountain in North America? Contact us today and we will give you all the info you need. First climbed in 1951 by Bradford Washburn and his team, Denali is the highest mountain in North America and one of the world’s classic mountaineering expeditions. The Denali trip may be a lifetime goal on its own or serve as valuable expedition experience for the mountaineer who has aspirations of Himalayan climbing. 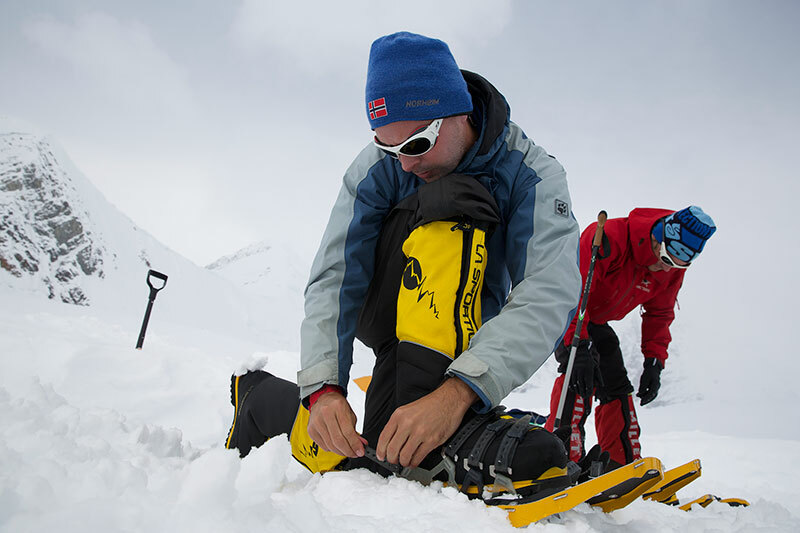 An expedition to the Alaska Range is also an excellent test of winter mountaineering and living skills. Standing 20,320 feet above sea level, Denali is a serious mountain undertaking and is appropriate for those who have had experience with several mountaineering high altitude objectives. Team members should be comfortable with glacier travel on 40-degree snow and ice slopes and possess a solid background of previous climbs on moderate routes. This peak often attracts those who are looking to test themselves at high altitude or on the 7 summits quest to climb all of the highest summits on each of the seven continents. Denali is the perfect next step on the road to peaks such as Vinson and Everest with Mountain Professionals. Denali is accessible from the town of Talkeetna via an internal flight to the Kahiltna Glacier. Here we will begin to carry loads to successively higher camps and acclimatize in route to the summit. The route above the 14,200′ camp travels via moderate snow and ice slopes of up to 40 degrees. This section of the route is protected with fixed ropes as we make our way to the 17,200-foot high camp. Depending on weather and schedule, we will make our summit push from this high camp location. 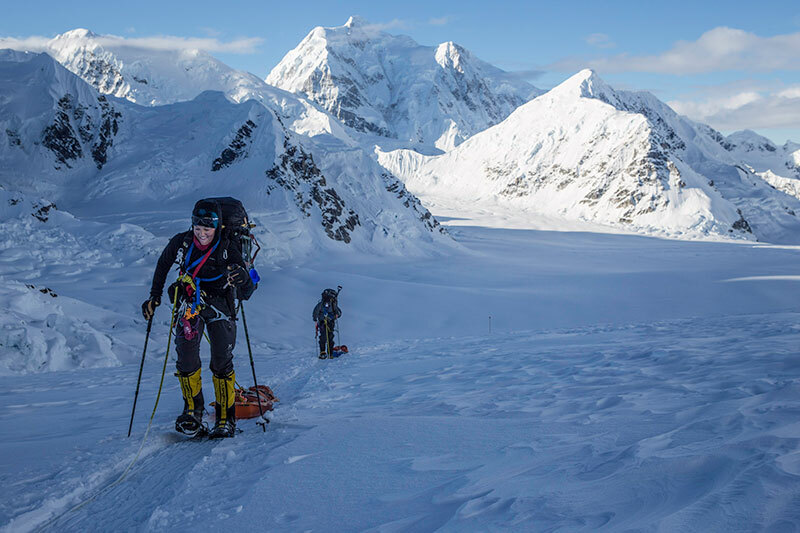 The route to the 20,320-foot summit of Denali is a full 10+-hour day that is demanding but extremely rewarding. The summit push may be delayed by weather so we take great care to be prepared to wait several days at the high camp in order to make a safe ascent. We look forward to upcoming expeditions to Denali in the spring of 2019. 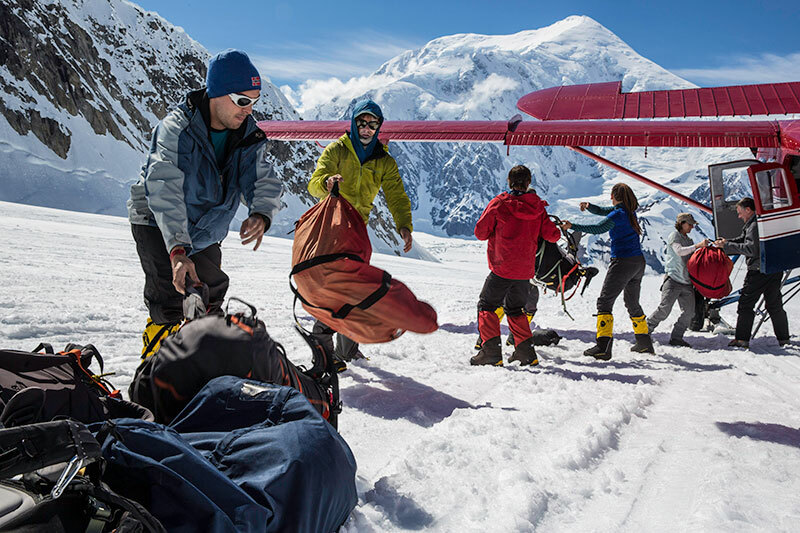 We offer a single departure with a limited number of spots each June to Denali through our partner Alaska Mountaineering School. Day 1: Arrive in Talkeetna office for expedition overview and gear check. Afternoon flight to glacier. Day 2: Base Camp day to organize, acclimatize, review glacier travel and crevasse rescue setups. Day 3: Travel Ski Hill and climb to Camp 1. Day 4: Carry to Kahiltna Pass (9,700′). Day 6: Move to Camp 3 at 11,000′. Day 8: Carry to 13,500′ around Windy Corner. Day 9: Move to 14,200′, Camp 4. Day 10: Logistics day, gear and food cache. Day 11: Carry to 16,200′. Day 12: Rest day at 14,200′ camp. Day 13: Move to 16,200 feet or 17,200′ Camp 5. Day 14: Rest day or move to 17,200 feet, Camp 6. Day 20: Return to 14,200 feet or 11,000′. Day 21: Return to Base Camp, 7,200′, fly back to Talkeetna. Day 22: Extra weather day built in to schedule. Group equipment, group climbing equipment, tents, communications, first aid kit, fuel, ropes etc. Staging area in Talkeetna for team packing.